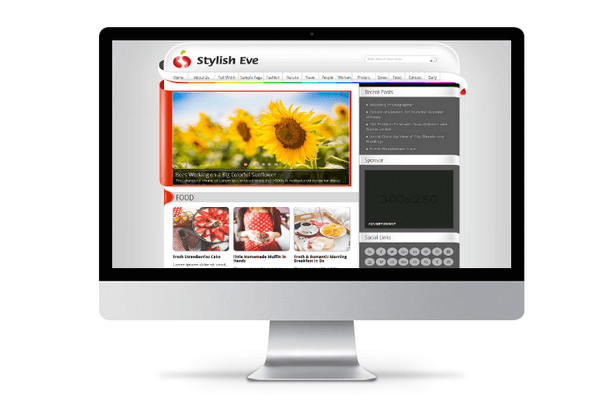 Stylisheve is a Magazine WordPress Theme For Bloggers. It was inspired by a design our client saw somewhere online a few years back and they really wanted something similar to it but with a few twists. It features posts with full background image above the folder, which will boost the clicks from your visitors. Customize your theme with our comprehensive theme options. Everything is organized into tabs to make it easy to use. The Theme has been coded with care and by keeping performance best practices and WordPress coding standards in mind. A selection of page template are available with the theme. Our theme is translation ready, so it supports free or premium plugin, like WPML or any other plugin. You may customize the Theme as you like. Files to create a custom child theme are already included in the download package of this WordPress theme. Get Instant 24x7x365 Dedicated Support! Yes, a Themes license grants you the rights to use the theme on 5 Domains License. However for getting support for your clients’ websites, you need to purchase the Membership plan.